We haven’t done our traditional nail art challenge in a while so I’m fixing that now. Like anything in life, to improve you need to keep challenging yourself. So get on board and get creative. The prize is fantastic too! Spring Nails is our 5th challenge and will be a celebration of everything beautiful that comes with this season. It can be anything, from nail art inspired by your favourite flower, spring fashion, spring colours and so on. Of course, the more creative your manicure is, the better! Create Spring inspired nail design (or as many as you like). In the caption of your photo, clearly state that you’re joining the @So_Nailicious x @MavalaAustralia Spring Nails challenge and use the tag #SNChallenge5. Post your nail design(s) any time from 20 – 28 of April 2017. 2 sets of confetti sequins – confetti nail art is trending now! 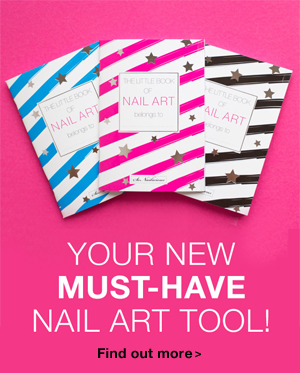 3 Little Books of Nail Art (full set) – because every nail art warrior needs them in their life. Runners Up – the 10 best nail designs will be featured here on SoNailicious.com on the 5th of May. 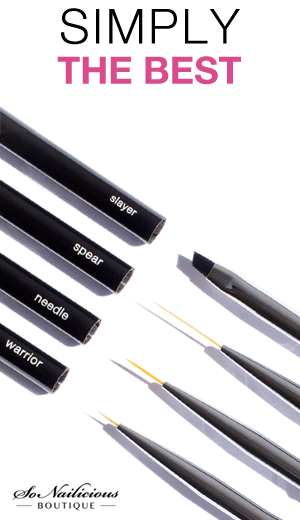 UPDATE: the winner is @Yulia_Nails, announcement has been made here, and the prize has been posted to the winner. P.S. To get some inspiration for the challenge, check out these Spring nail art ideas. Terms & Conditions 1. 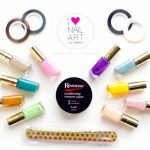 ‘Spring Nails challenge’ nail art competition – open worldwide. 2. 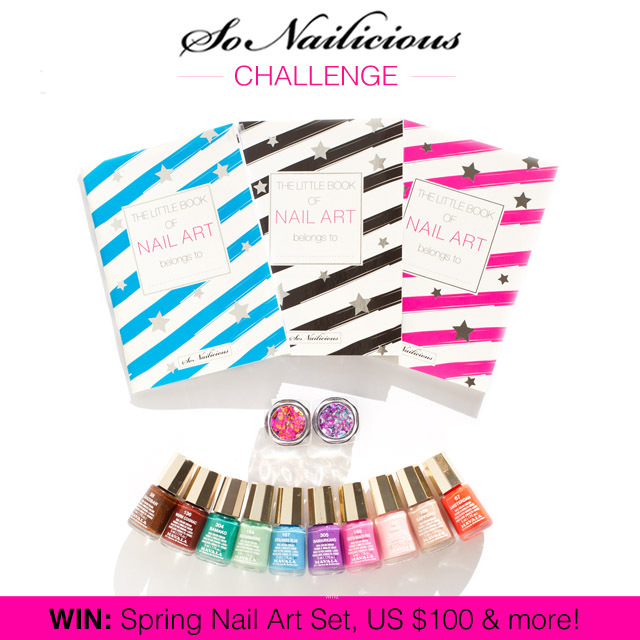 To enter in this nail art competition you must: a) create Spring themed nail design (or as many as you like), b) in the caption to your photo clearly state that you’re joining the @So_Nailicious Spring Nails challenge and use tag #SNChallenge5, c) post your nail design/s during 20-28 April 2017 on Instagram. 3. The 3 finalists will be chosen on the above criteria and with the most interesting nail design. 5. The winner will be chosen via public voting, the design that will get the most votes. There will only be 1 winner. 6. One person can post as many nail designs as they like during 20-28 April 2017. 7. The winners will be announced via Update on this post and Update on Instagram and contacted via email on the 2nd of May 2017. 8. The prize pack valued RRP $100. 9. If the prize is not claimed by the winner within 24 hours, we will choose another winner. 10. Prizes will be posted to the winner by the 5th of May 2017. 11. You must be over 18 years old or have parents permission to enter this competition. 12. This competition for nail artists and nail art enthusiasts only, featuring original nail art that you own; all entries/photos taken from other sources will be disqualified.